The RIB Force Inflatables team has over 50 years combined of specialist experience, which will ensure you get the right choice of RIB or inflatable boat in the AB, Aurora Adventure and Mercury range of inflatables pairing with the perfect Mercury outboard. 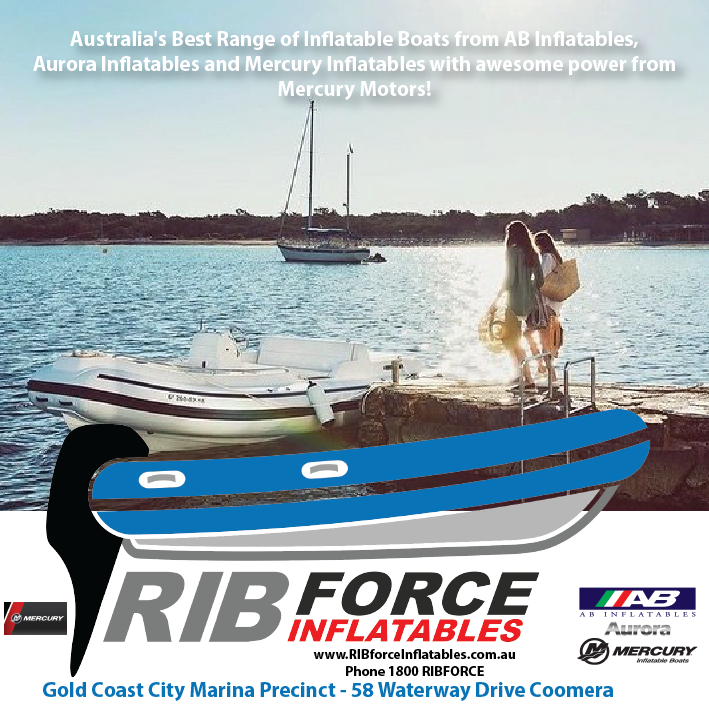 RIB Force Inflatables is a specialist inflatable boat business offering the biggest ranges of inflatable boats in Australia including the brand names of AB and Aurora Inflatables. RIB Force Inflatables also offer specialised services for the repair , service and maintenance of inflatable boats which includes retunes, refurbishments and other services for which RIB Force Inflatables holds the biggest inventory of inflatable boat parts in Australia. RIB Force Inflatables also have a full service department offer sales & service of Mercury outboards. Servicing is also available for other outboard brands. RIB Force Inflatables also offer a comprehensive range of options and accessories for full the range of inflatable boats, allowing for full customisation.